Sure! 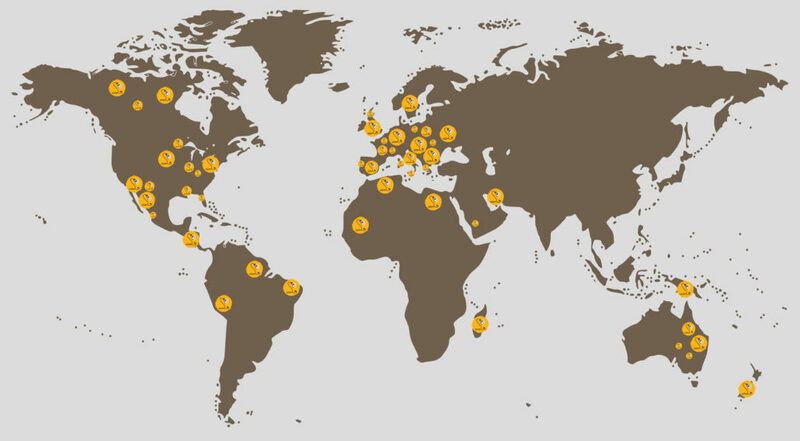 We ship our products all over Europe and the rest of the World! What about the safety of your shipping? Please take a look at the video we made to show you how we package our products. Is it easy to assembly your products? Absolutely, please take a look at this video. Delivery times may vary according to the purchase order. For example, in order to create a table lamp, delivery time is about 3 weeks, while for floor lamps or other bigger objects delivery time is about 5/6 weeks. For all the “special objects”, which have unique dimensions or additional details, delivery time are assessed from time to time. Our workshop in Pistoia houses also an exhibition space about 150 sqm large, where many different lamps are ready for purchase. If you are in a hurry, please let us know; we’ll be glad to send you pictures of lamps we already have, which recall your demands. What are your lamps made of? Our creations are entirely hand-made. A metal structure is covered by a full colored, glossy and transparent cover made with mulberry paper. The paper is treated with special resins which make it glass-like and similar to plastic coated materials. In this way the paper surface becomes smooth and waterproof, as well as more robust than ordinary paper. How could your lamps be cleaned? Maintenance is very simple: generally for usual maintenance we suggest the use of a feather duster or a rag or any other tool used to remove dust. For a more thorough cleaning we suggest to use a damp cloth or a well-wrung sponge. Could the lamps catch fire? If you think about paper and the heat produced by light bulbs, our lamps may seem easily subject to combustion, but luckily this is not the case. The CE marking certifies that our creations wiring complies with European law, attesting also the heat resistance and flammability of vitrified paper parts. How much light they make? Is there a limit to the light bulb voltage? Lighting power depends first from the light bulb power (expressed in lumen) and secondly from the paper color and the shape of the lampshade. For example, a flower shape like the one of the “Lotus” model leaves the light bulb visible, releasing all the lighting power. A shape that envelops the light bulb completely, like the one of the “Blossom” model, reduces the lighting power while reaching a better diffusion. Surely also the “Blossom” model is open to work as main light surce. It will be enough to chose a bright color for the paper covering. In the end, our lamps are compatible with any light bulb available for purchase, as long as the fitting is the same. We use E14 fittings for the majority of the desk lamps, and E27 fittings for the other types (floor lamps, wall lamps, ceiling lamps). To obtain a higher ligthing power we may just create a lamp with multiple point lights, even in a single flower shape. I live abroad, can I connect the lamp to an electric grid with a different potential than Italy? Sure, since all lamps are provided with the befitting wiring for the country they are shipped to. In order to power your lamp, you would need only the light bulb.